Along with the ever-growing amount of content we consume online--produced by media giants and individuals alike--comes an increasing appetite for images. In barely a decade, a multimillion-dollar industry has blossomed to feed this beast. Stock photography--images created specifically for purchase by publishers or other clients--has been around since the 1920s. But the digital age has brought with it a new term, microstock, referring to online images, often crowdsourced from amateur photographers and artists, that can be bought cheaply and used by anyone, royalty-free. The first microstock company, iStockphoto, was started in 2000 (it sold to Getty Images six years later for $50 million). 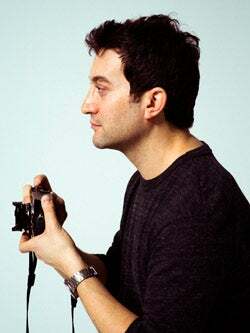 But the market truly rose to prominence in 2003, when 29-year-old serial entrepreneur Jon Oringer thought to combine the idea of a crowdsourced image marketplace with a subscription-based business model. 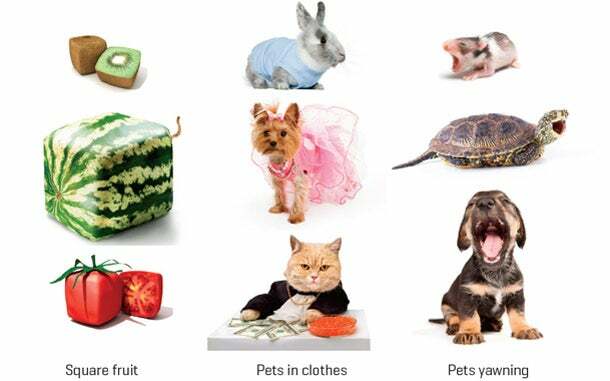 His company, Shutterstock, offered bloggers, media agencies and businesses of any size access to low-cost images. And that demand spurred even more supply, as contributors flocked to provide their works to a platform with high purchase volume. Today, Shutterstock, where Oringer serves as CEO and chairman of the board, houses 24 million royalty-free images, illustrations, vectors and video clips. The website is available in 14 languages and features the work of 35,000 contributors from 100 countries. The company was the first in a now-crowded industry to achieve 250 million downloads--at last count, two Shutterstock images were sold every second. (In terms of volume, Shutterstock is the No. 1 provider of commercial digital imagery, ahead of Getty Images and iStockphoto combined, according to Oringer.) Clients number around half a million, from Google, CBS and Morgan Stanley to indie designers. In 2003 Oringer had no idea how this would play out; like countless innovators before him, he just wanted to solve a problem. After starting a string of 10 small software companies (no big hits or misses), he'd noticed that adding pictures to his e-mails and newsletters resulted in higher conversion rates. But the primary options for sourcing high-quality images were clip-art CDs or pricey rights-managed works from stock agencies like Getty and Corbis. Oringer sensed a hole in the market, and the timing was auspicious. The cost of a professional-quality camera had fallen below $1,000, so he plunked down the money and spent the next nine months figuring out how to be a photographer. "I had no direction, so I tried everything," he says; his photographs included a dog holding a newspaper (his personal bestseller) and scenes from the internet cafe where he worked. In all, he took some 100,000 photos, uploaded the best 30,000 to a website and sold $49 subscriptions that allowed unlimited access. Turned out, he was not the only one in need of images. Unable to keep up with the demand on his own, Oringer decided to scale by creating a platform to which anyone could contribute. By 2007, Shutterstock was offering 2 million images; in 2008, Insight Venture Partners invested an undisclosed amount to expand the company further; in 2009, Shutterstock acquired budget microstock company Bigstock for $3.3 million in cash. It was then that Oringer contemplated going public. "As I saw us growing, I thought about what direction would maximize opportunity," he recalls. The IPO last October--the first from a New York City technology company in more than two years--raised $76.5 million. "We went public to raise the profile of the company and obtain the financial resources to become a leader in stock emerging content, but I did ask myself whether I could keep it the same product," he says. "And we rang the bell, and it is the same company." It's a sunny, cold January morning, and from Oringer's 34th floor office in Manhattan's Financial District, there's a clear view of the Statue of Liberty. Seated in front of two big-screen monitors, Oringer looks casual in a frat-friendly ensemble of sneakers and a slightly wrinkled button-down. "When I started the company, there was a lot of friction in the marketplace," he says. "What made us unique was the simplicity of our subscription business model, and the fact that we've always thought of ourselves as a technology company." The model is having an impact. For third-quarter 2012 (pre-IPO, and the most recent figures available at press time), Shutterstock reported revenue up 36 percent to $42.3 million and EBITDA of $10.3 million. The company was projecting 2012 revenue of $165 million and adjusted earnings of $33 million. Investors, too, are taking notice of the demand for online images. Last May, Fotolia, a Shutterstock competitor, announced it was taking $150 million from private investment group KKR; in August, private equity firm Carlyle Group purchased Getty Images for $3.3 billion. In a sponsored study, Shutterstock claims that the market for "pre-shot commercial digital photographs" will be worth $6 billion by 2016. Since the IPO, Oringer maintains a majority stake in his company and remains at its helm. "Most public companies aren't run by the founder because they have been diluted by financial structures put in place, and there are too many people with opinions," he points out. Oringer doesn't like to sit still; he flips his legs onto the seat of another chair and drags it back and forth. His plan for Shutterstock's growth is also about perpetual motion, keeping supply and demand increasing at an equal pace. "If there was no supply, the buyers would get annoyed, and contributors would get annoyed if they were not getting paid. From the beginning, I wanted it to be as automated as possible because computers work faster to tell people where the demand is," he says. To create what Oringer likes to call "network effect," Shutterstock collects data on what, when and why images sell, initiating a feedback loop that improves the system for all parties. The primary search function supports image searches based on number of people or specific genders or ethnicities, and can return contextually different results based on a person's location or browsing history. Shutterstock offers on-demand pricing schemes starting at $19 per image and "enhanced" licenses for merchandise and large print runs starting at $199. But the majority of revenue still comes from subscriptions, which start at $249 per month. Contributors are typically paid 25 to 38 cents per download--sliding up as they pass various earnings thresholds--or, for materials used by large agency clients, 30 percent of the fee paid, which can amount to $120 per image. The highest-paid contributors earn six figures a year. Images are thoroughly vetted. "My stuff would never be accepted today," Oringer admits. Although anyone is welcome to apply (and reapply) to submit their images, only 20 percent make it through the process, which involves uploading 10 photos and having at least seven of them approved by staff reviewers. 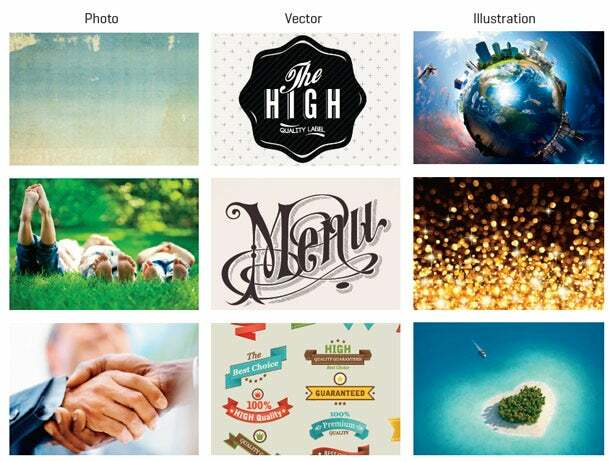 For the entrepreneurial-minded artist, Shutterstock can be a life-changer. Alisa Foytik, a popular vector illustrator, was an art major in Russia when she was accepted as a contributor in 2006. She has since sold hundreds of thousands of images, enough for her to move to the U.K. and then to Washington, D.C. "I couldn't believe nobody had thought of this before," she says, "because it's so hard to be an artist and work for a big company like Getty." Lev Radin, a hobbyist photographer in New York who also joined Shutterstock in 2006, says the company's dedication to its contributors sets it apart. With Shutterstock's support, he has gotten credentials to cover the US Open tennis tournament and red-carpet events. He maintains an account on another stock site (a practice Oringer encourages) but says, "I don't think any other agency would do such things for me. I talked to some of them, and none of them responded the same way." Theodore Agranat, founder of Swampscott, Mass., web development and design agency Ceonex, agrees that Shutterstock has been a boon for those providing images. "The company is doing good by democratizing an industry that used to be very elitist toward amateurs," he says. But at the same time, he points out, professional photographers are hurting because of a general unwillingness on the part of content providers to pay high rates for "beautiful, sweeping, large-scale images." For businesses, he says, the use of stock imagery brings up another risk--that of substandard branding: "Unless you get really lucky, stock means retrofitting a business into an existing image, as opposed to fully creating the brand you're trying to project. But like other industries, we all just have to adjust and evolve." Shutterstock predicts increased use of video footage in 2013. • Stop motion. Powerful digital single-lens reflex cameras have increased the popularity of this pulsating animation. • Action POV. Tiny, go-anywhere cameras like the GoPro Hero3 produce dynamic videos that put viewers in the midst of the action. • Slow motion. High frame rate cameras like the Phantom Flex record high-quality, ultra-slo-mo video. • 3-D. Affordable new technology makes 3-D accessible to more animators and designers. At Shutterstock headquarters, some 200 employees (and counting) span four floors. In the lobby, a screen displays a map of the world, showing actual Shutterstock downloads in real time. The elevators are imprinted with photos from contributors, and meetings are held on the long gray couch in the hallway, which also serves as a nap spot during marathon "hackathons," at which employees brainstorm new products and services. "We look to employees to suggest changes in the business," says vice president of product Wyatt Jenkins. The company runs on a system designed to ensure a nimble, startup-like environment no matter how big things get. About 40 percent of the staff is focused on product or tech; those operations are divided into roughly a dozen teams, each with a dedicated mission, and each operating like an independent startup driven by that one goal, whether it's marketing, engineering or sales. At bimonthly "sprint demos," the departments get together to show off what they've been working on. Dan McCormick and David Chester--the first two engineering hires from back when Oringer was handling customer service--are now, respectively, senior vice president of technology and chief architect. Both say they're still with the company because of Oringer's leadership and commitment to agile development. From a developer's standpoint, working at Shutterstock is a dream. The site is essentially a massive database, with an equally gigantic volume of user data points. Put them together, and it's a chance to tackle some of the hardest problems in search functionality. "We build algorithms to deliver the perfect image," McCormick explains. His team's "lab tools" reimagine traditional approaches to image search. For example, Instant, a new visual-brainstorming tool, uses a patent-pending algorithm that indexes images in real time with each keystroke. Another feature, Spectrum, returns results based on color, using a mechanism inspired by the sliding controls on a DJ's turntable. Although public companies don't have the greatest track record for sustaining innovation, one reason to believe Shutterstock will maintain its entrepreneurial drive is Oringer himself. He has been early to recognize and offer new kinds of content to the public, most recently with the increasing demand for stock video footage. "It wasn't a big market when we started in 2005, because equipment and processing power were super expensive," he says. "But I knew that many years from then, video would be created just like images were. We learned how to use all the different types of formats and waited until the right time, and now stock [video] footage is a multimillion-dollar business for us." Indeed, Melbourne, Australia-based Lee Torrens, owner of Microstock Diaries, a service blog started in 2007, says the last few years have been Shutterstock's best, innovation-wise. He believes the defining factor of the company's early success was the subscription model, but describes the middle years as "vanilla." In 2009, though, the company led social media integration with Facebook and Twitter; in 2011 it came out with a slick iPad app; and now, as Torrens says, it is "doing some pretty cool things in search." And more is coming--more languages, more sophisticated search functionality and more groundbreaking products. Shutterstock is working on Offset, a premium service that will feature royalty-free work for clients who are willing to pay more for high-end photos and illustrations. Oringer is also in the early stages of seeding what he calls a "marketplace for learning," a subscription service with which contributors can earn money by creating video tutorials. "The way these marketplaces happen is the equipment gets in lots and lots of peoples' hands," he says. "Just like the internet made it possible for me to start 10 companies in five years, all these people being able to shoot and create content as much as possible will create change." 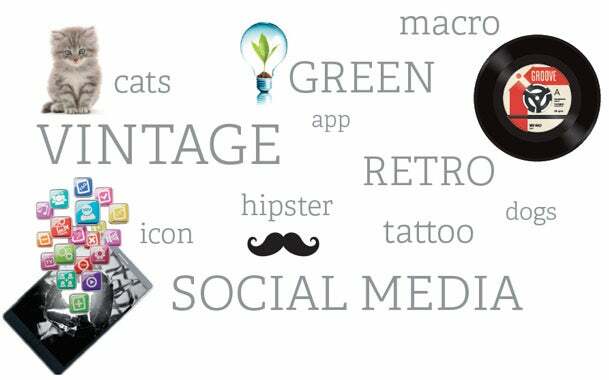 Articles with images average 94 percent more total views than those without. News, political and sports content benefits most from the use of images. Including a photo with a press release increases views by 14 percent. Including a photo and a video increases views by 48 percent. 60 percent of consumers are more likely to consider or contact a business when an image shows up in local search results. The takeaway? Use a high-quality photo of your company or product, rather than just a logo. 67 percent of consumers say the quality of a product image is "very important" in selecting and purchasing a product online. Be sure to include shots from multiple angles for each item.